Here’s a guy who already has I.S.P. and other “three letter boyz” looking @ him when he was in charge of “I.T.” for the city of Gary. Then he “goes off” on his wife and “Sherri Williams” 9more on her to follow). And he’s out of a “j-o-b”. “Blogger Vato” called me up on the phone. “Hey, Street, they were calling up the radio station WLTH and talking about how bad Jamal Washington used to treat workers at Illinois Central Bus Company,” Blogger Vato starts out as Street listens. “Somebody called and asked why nobody called the bus company,” he goes on. Remember when Jamal Washington got Illinois Central Bus Company to buy a “ton of turkey for Thanksgiving. Mary Elgin and Jamal Washington put their names on the turkeys, and they spoke at affair like they paid for the “turkeys”. 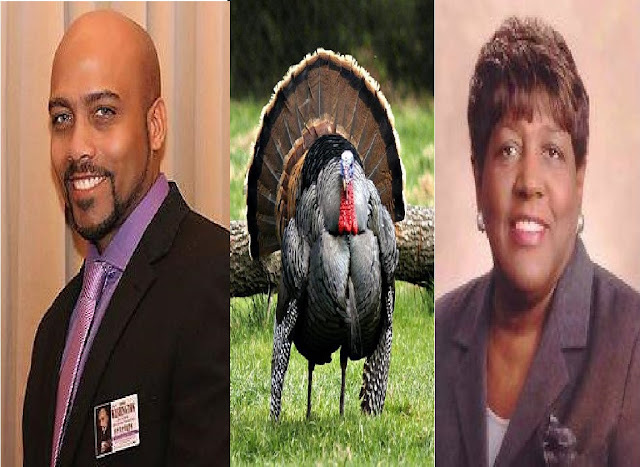 Jamal and Mary Elgin were a “tag team” along with Antuwan Clemons, a member of the Gary School Board. Jamal Washington was “plantin the seeds” for his campaign for Lake County Councilman then.